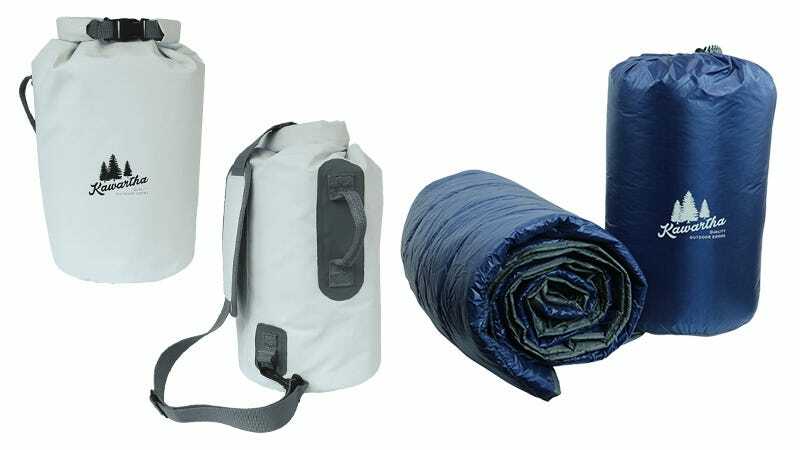 The Base Camp Blanket (54" x 78" unfolded) is designed from 20D Ripstop Nylon with a water repellent finish to withstand liquids and prevent stains. Plus, similar to many sleeping bags, the interior is filled with a down insulation to maximize warmth yet limiting weight (1LB 3oz). Get it for $89 and use code 1BCB2DBC to grab two Dry Bag Coolers along with it for free. Note: you must add both cooler bags to your cart to activate the code. Full details here.